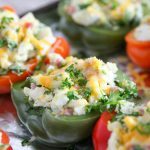 These quick and easy ham and egg stuffed peppers are perfect for any time of day, and we often enjoy them for light weekend lunches. This is a sponsored post; all opinions are my own. 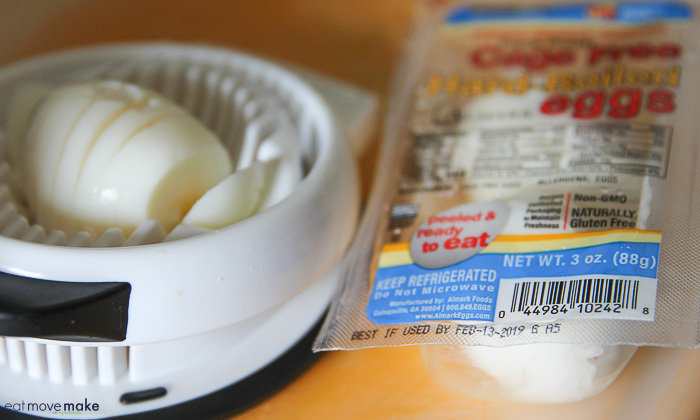 As much as I love to cook, I’m always looking for time-saving shortcuts and one of my absolute favorite shortcuts is using already peeled and hard-boiled eggs for my recipes. It irritates me to no end when I boil and peel them myself and a big chunk of egg peels off along with the shell. It’s maddening! 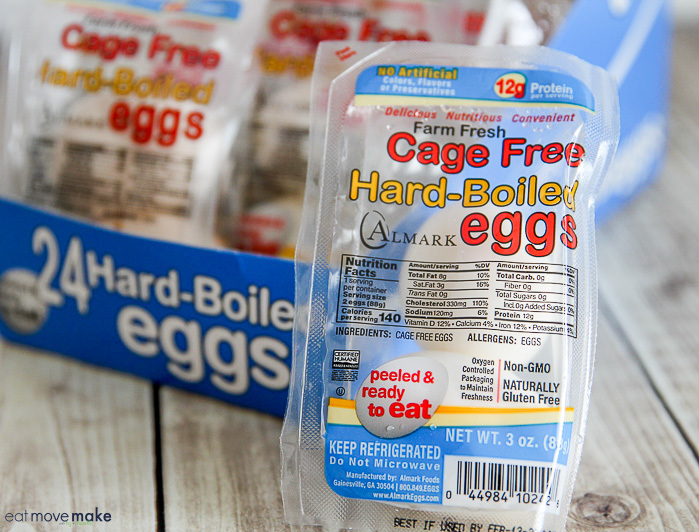 When I buy already peeled eggs, I don’t have to worry about any of the waste, mess or fuss, and I can purchase Almark Hard-Boiled Eggs at Sam’s Club in a 12-pack value sized package. Not only are the already peeled and ready to eat eggs perfect for my recipes and meal prep, they’re great to have on hand for protein snacks and post-workout fuel-ups! 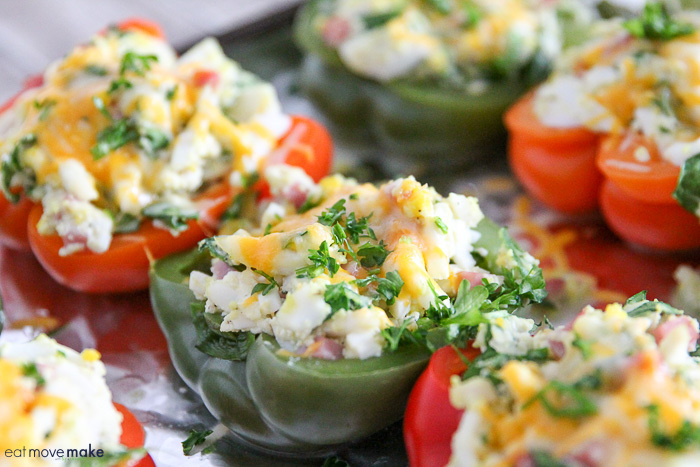 And here’s how to take this delicious shortcut and make ham and egg stuffed peppers. Cut six red and green bell peppers in half lengthwise and boil them until they reach your desired tenderness. Shake off any excess water and place them cut side up on a baking tray. 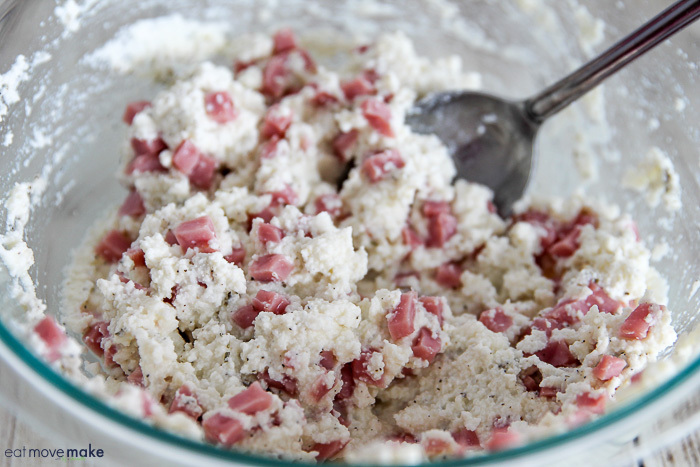 While the peppers are boiling, prepare a ham and ricotta mixture for the filling. 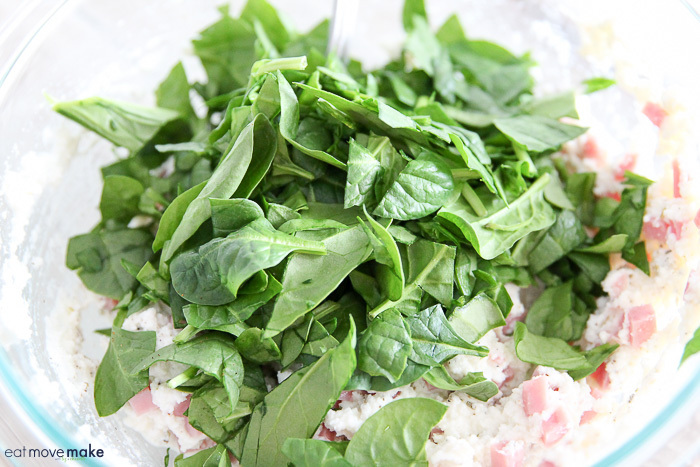 Toss in some chopped fresh spinach leaves. 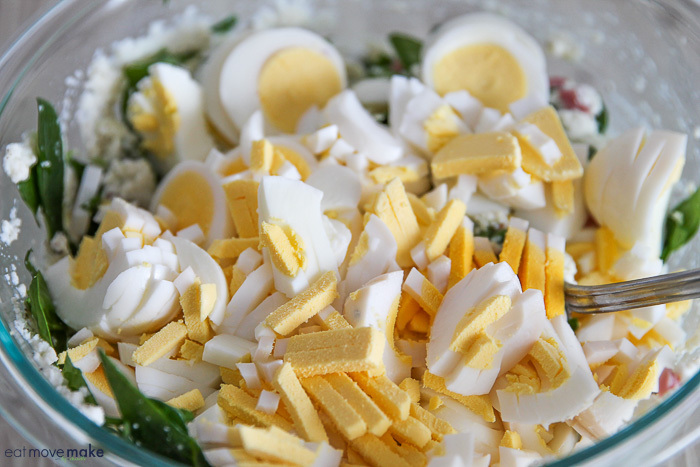 And add the sliced and diced hard-boiled eggs. Carefully mix all that goodness together. And stuff each of the peppers with an equal amount of filling. 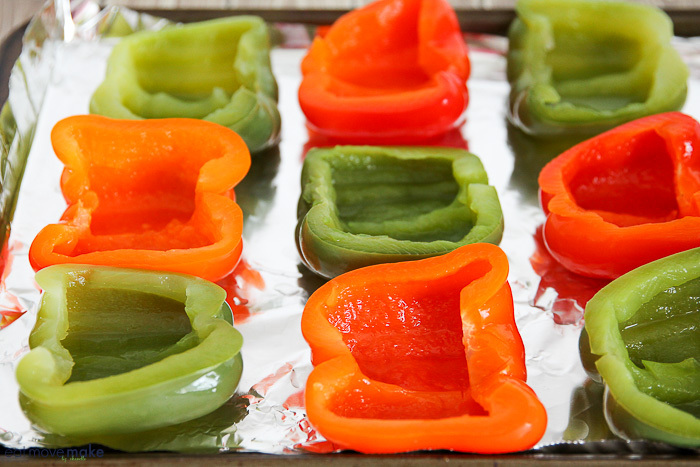 Bake the peppers in the oven, sprinkling on a little bit of shredded cheese in the last five minutes. 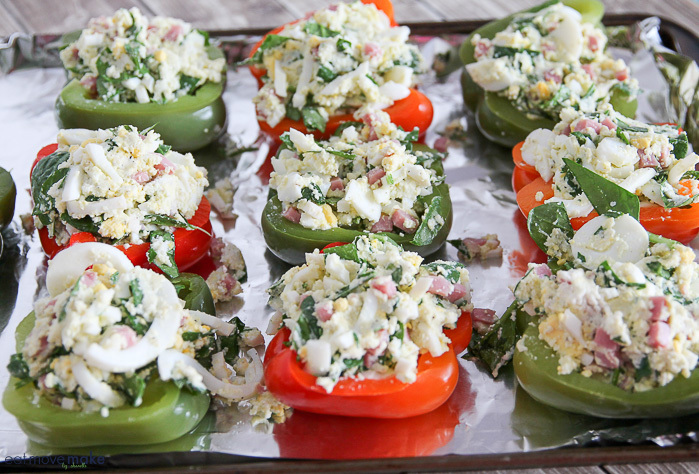 Pin the ham and egg stuffed peppers recipe! 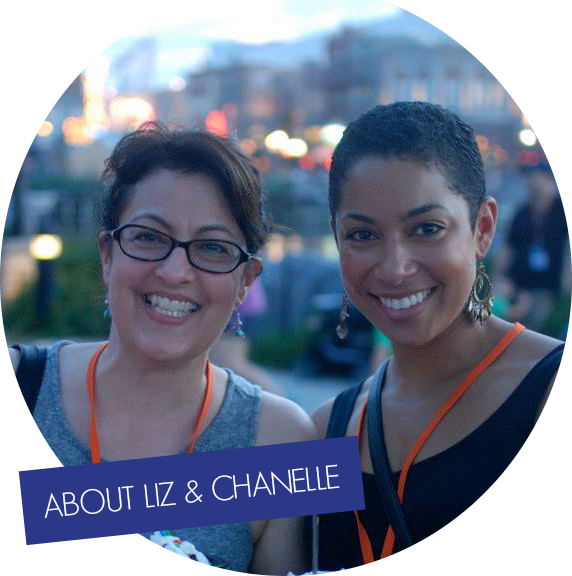 In large stockpot, bring water to boil. Add pepper halves and boil 7-11 minutes or to desired tenderness. Shake off excess water and lay cut side up on a foil-lined baking sheet. 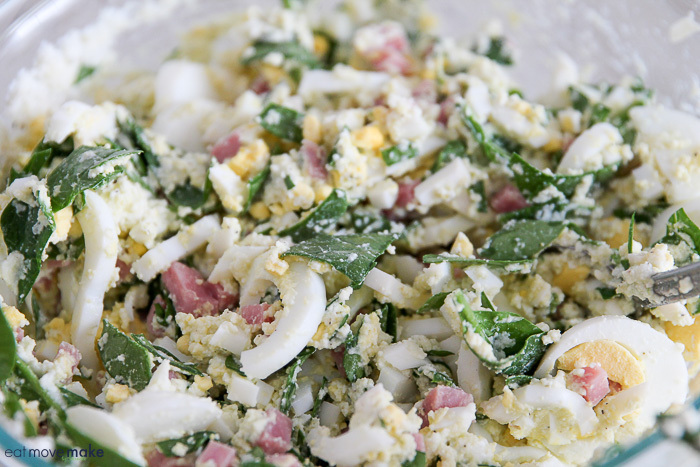 In mixing bowl, combine ricotta cheese, ham, pepper, salt, seasoning, spinach and chopped eggs. Mix together carefully. Fill peppers with mixture, dividing evenly between them. Bake, covered with foil for 25 minutes. Remove foil; sprinkle with cheddar cheese. Bake an additional 5 minutes until cheese is melted. 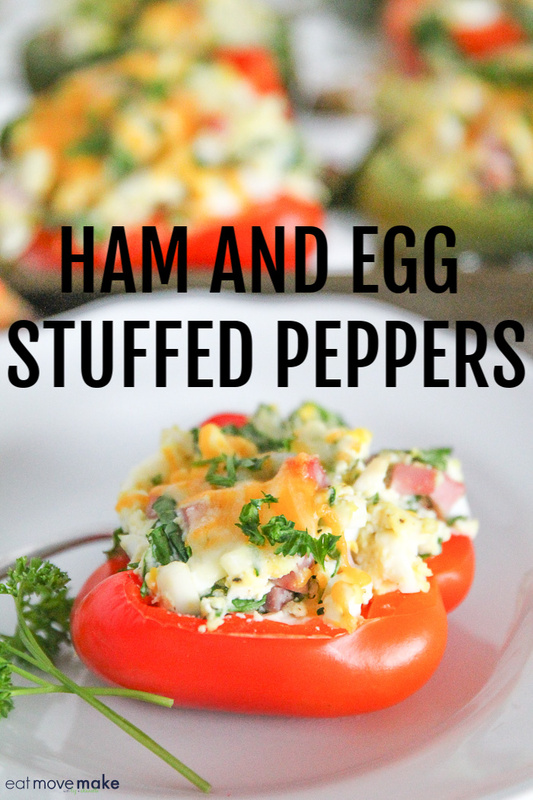 Serve the ham and egg stuffed peppers and enjoy! 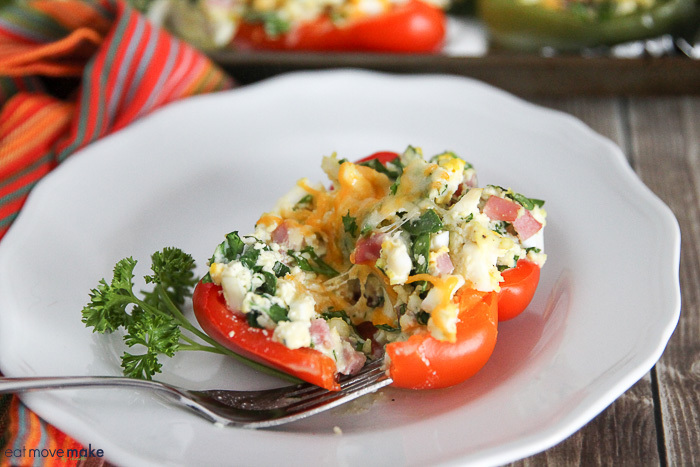 Oh what a delicious idea for breakfast or brunch!!! I am going to be trying this for sure and I love these eggs! This looks really good and easy. Everything is stuff usually have on hand. Thanks for the recipe! What a tasty idea! This would be perfect for our Sunday brunch. I am sure soon will be our new favorite! Looks absolutely delicious! You certainly make it look easy! 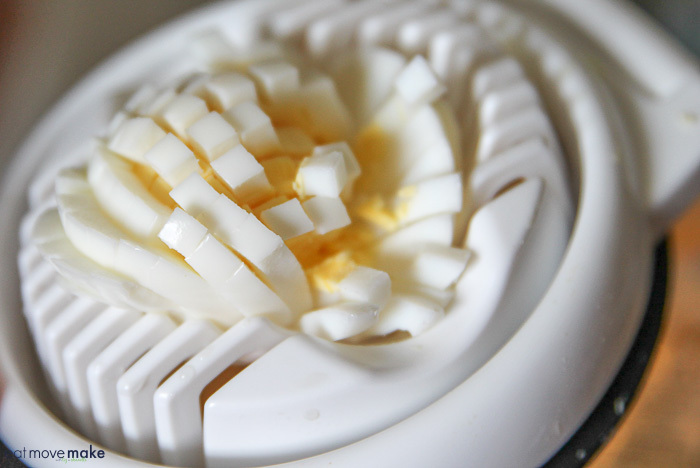 Love using those hard boiled eggs. Fast! What an interesting twist on breakfast! They look incredibly delicious! I foresee this for breakfast this weekend! Yummy! These look like they’re filled with flavor. A delicious way to start the day for sure!